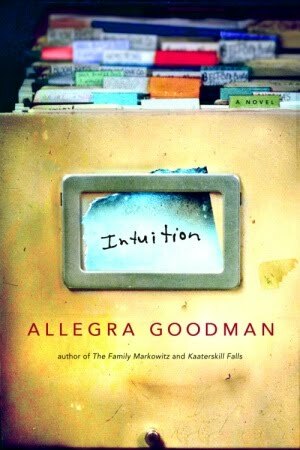 This is the second book that I finished in early January that lead to my reading slump. I didn't really dislike this book, but I can't seem to pin down why I didn't like it either. It is set in a research lab in Massachusetts, in the land of scientists and postdocs and grad students and undergrads, all trying to find a cure for cancer. This is a world in which I have lived vicariously through several friends who work in this messed-up world of scientific research. So I have heard all about the hierarchies, and jealousies, and competition, and back-stabbing from them. In this book, a postdoc on the verge of being fired comes up with a seemingly miraculous breakthrough, which another postdoc suspects might be fabricated. The story deals with the fall-out of both the breakthrough and the accusations. Overall, I should have liked this book. It is a very different setting than any other novel that I have read. I allied myself with some of the characters, and against others. The "truth" of what really happened is kept hidden, and so the plot unfolded almost like a whodunit and kept me guessing. And it was fairly well written. But somehow, something was missing, and I can't quite put my finger on it. I was reading this book at bedtime, and if I am reading a good book, I often have trouble closing it in order to turn off my light and go to sleep. But with this book, I found myself dozing off after only two or three pages. Has anyone else read this book? Can you enlighten me on why I didn't enjoy it as much as I think that I should have?